A one piece, easy-to-use diaper with natural hemp and organic cotton, specially sized for newborns from Thirsties! 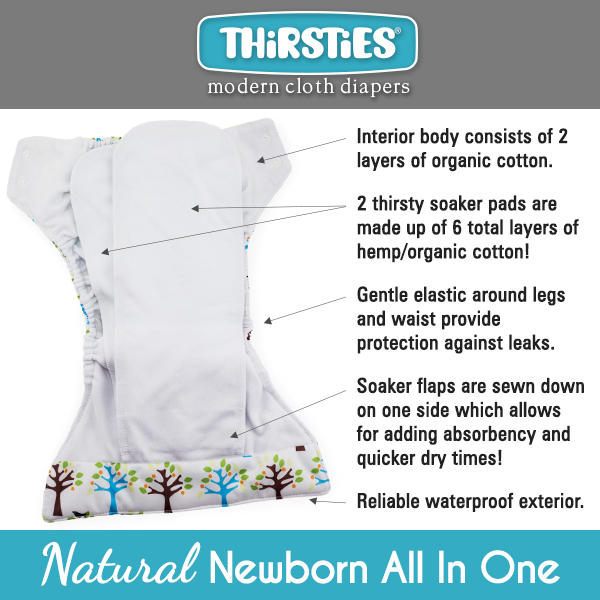 The Thirsties Natural Newborn All In One Diaper is uniquely designed for a newborn's needs and comfort. 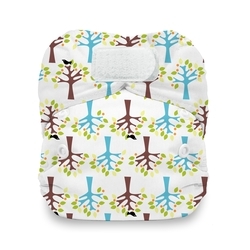 This AIO features only natural fibers for a simple and natural newborn cloth diaper option. The outer shell is constructed of a waterproof TPU laminate, while the inner features a 2-layer organic cotton jersey lining and 2 3-layer semi-attached inserts constructed of a hemp and organic cotton blend. 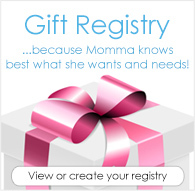 This diaper goes on on in one easy step and provides a trim fit. Fabric Content: Outer layer is compose of 100% polyester with waterproof TPU laminate. Innermost lining is 100% organic cotton, with 2 layers in the wet zone. The two semi-attached soakers are a combined 6 layers of 55% hemp/45% organic cotton. Care Instructions: Pre wash warm. Wash hot. Rinse warm. Tumble dry low or hang dry. Use additive free detergent. No fabric softeners. No bleach. Use only cloth diaper safe ointments. 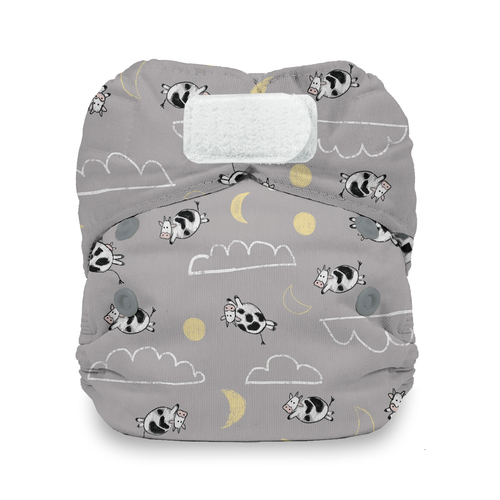 A one size, easy-to-use, one piece diaper from Thirsties! I loved the fit on my tiny newborn. I really liked how you can customize the absorbency. The only thing I was a little sad about was that it wasn’t as absorbent as it has been hyped up to be. But it’s pretty easy to just add a few wipes to boost the absorbency! These were my second favorite newborn diaper. Great fit, good absorbency, and my husband liked the single-snap simplicity. I was SO excited to get this after longing for it forever. 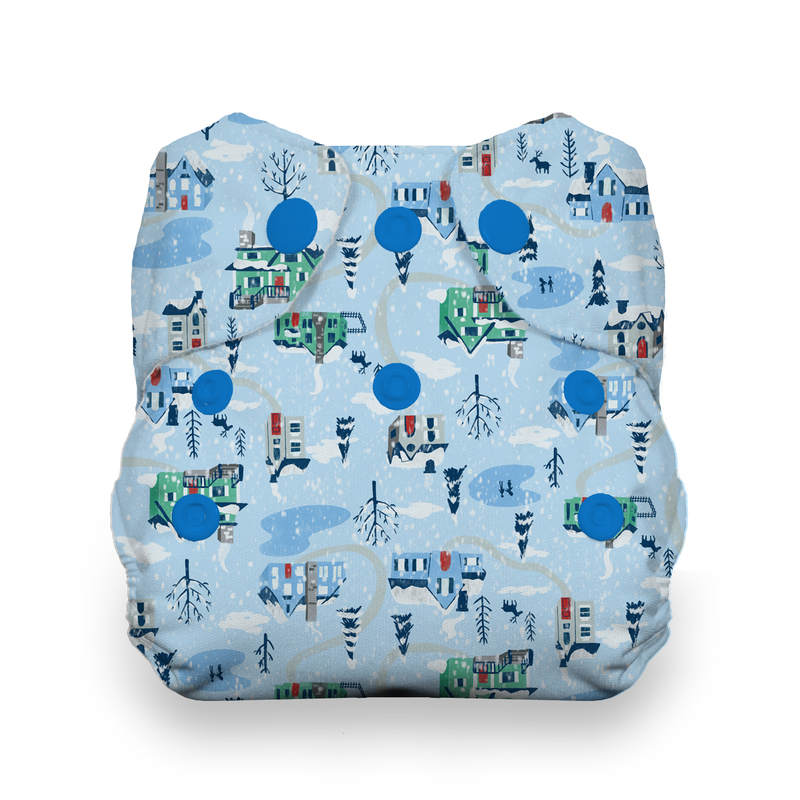 The print is cute, the diaper is teeny, and AIOs are really convenient. We've been line drying everything and I have to say that this diaper can take more than 24 hours to fully dry. I really don't want to ruin it, but will start it in the dryer from now on. These were a favorite newborn diaper of mine. Highly absorbent and trim but I did need to boost them towards the end. I love the umbilical cord snap but wish there was a way to get the dip with the h&l. I had wait until it fell off to use my h&l ones. these are little, but hold a lot and they are soo cute!